We were tasked with a packaging proposal for an important client and a valuable product: so we imagined an invitation to dinner in a sumptuous room. And what to bring as a gift if not a bottle... of olive oil? But not just any bottle: we wanted something elegant, recognisable, as slender as a sophisticated lady. Because oil, like earth and gold, is precious. That's why it's a gift. 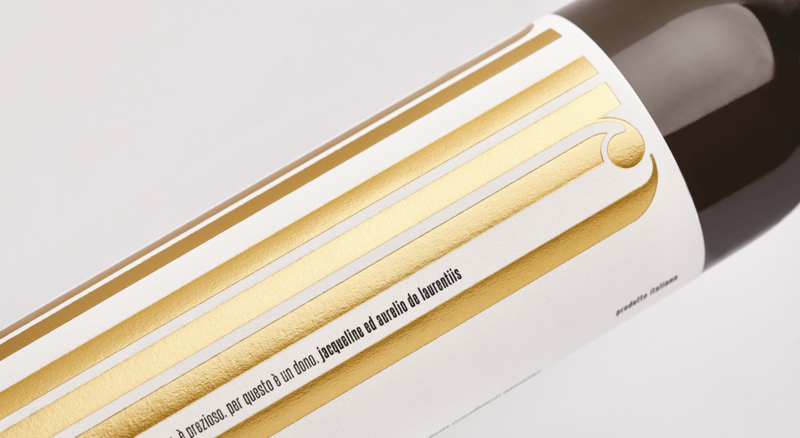 The design on the label is developed around the bottle's extreme verticality. The name "Auro" completely covers the packaging and lets one sense the oil's fluidity: the lettering is in fact elongated and follows the shape of the glass, with characters adapted to the spaces thanks to a manual finishing of the font. A balanced composition gives your eyes a hint of the notes that your tongue and nose will soon have the privilege of savouring. 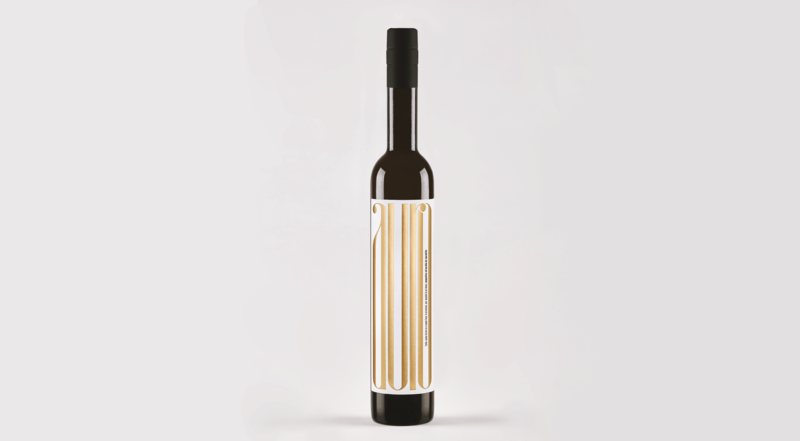 The rich and elegant golden colour fully conveys the value of a refined and high-end product like extra virgin olive oil. 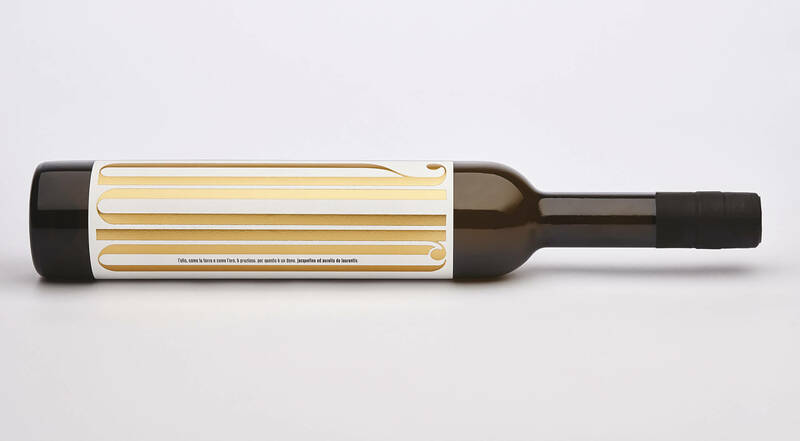 And the combination of two printing techniques - silk screen and hot gold foil - gives the label a look of pure light. In order to further increase the sensation of naturalness to the sight and touch, the choice of paper fell on Fedrigoni, Cotone Ultra WS. Attention to detail for an example of first-class work: beautiful, precious, effective and high impact. And that's how we gave shape to Aurelio De Laurentiis' great passion for olive oil. Simplicity is a luxury that we need to know how to create and convey through a label.